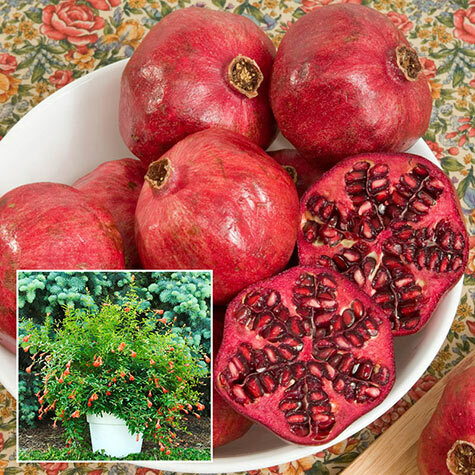 Dwarf Pomegranate | Gurney's Seed & Nursery Co.
Miniature Fruit with Full-Size Flavor! Bright coral-red flowers and fruit make a striking houseplant. Perfect for growing outdoors, too; withstands temperatures as low as 40 degrees. Set plants outside in the summer—funnel-shaped flowers attract hummingbirds! 2-ft. mature height. Potted. Comments: Easy to grow. Its compact habit lends itself to window-sill culture or bonsai training. Minimum temperature of 40 degrees F. in Winter. Fruit is edible. Tolerates drought once established. Gorgeous rich coral-red blossoms, jeweled toned fruit, every bit as delicious as larger varieties. 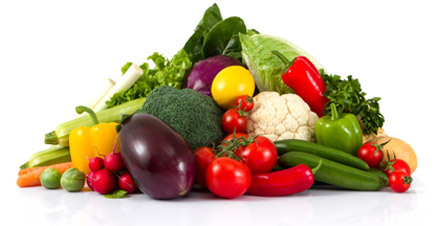 In warmer climates it can be grown outside, in cooler areas, bring indoors for the Winter. Funnel-shaped flowers will attract hummingbirds and butterflies.